Viruses, spyware, hackers, phishing sites - the web is a dangerous place, and every PC owner needs effective, reliable antivirus software to keep them safe. But this can be expensive, especially as you'll pay again to update the package, each and every year. Fortunately there is plenty of free antivirus software, many of which are just as capable as their commercial cousins. So if you're tired of annual subscriptions, read on - we've picked out eight of the best free internet security tools to deliver great security at no cost at all. You don't have to spend long with Avast Free Antivirus to realise why it's one of the most popular security tools around. The program is simple to install; a straightforward interface makes it easy to use; a quick first scan should identify any potential threats on your PC, and this all has minimal impact on your system performance. These aren't just subjective opinions, either. Independent testing by AV-Test has found the program to be a good all-rounder, and it was one of AV-Comparative's "Products of 2012". Avast Free has some useful extras, too. A Software Updater alerts you to program updates you've missed, for instance, while its Browser Cleanup tool provides a simple way to remove unwanted add-ons from your browsers. Small and simple, Panda Cloud Antivirus is a lightweight tool which provides free real-time antivirus protection, and can be used alongside many other security tools without problems. It's the free version of a commercial product, and so has a few missing features. The Pro edition helps to protect you at public wifi networks, for instance, while its "USB Vaccine" function reduces the risk of malware infecting a USB drive. The core antivirus protection remains the same, though. And while that doesn't deliver the top detection rates, independent testing shows it's very capable, with the program winning certification in AV-Test's latest report. No antivirus program comes with a guaranteed 100% detection rate, and malware might occasionally slip through your defences. 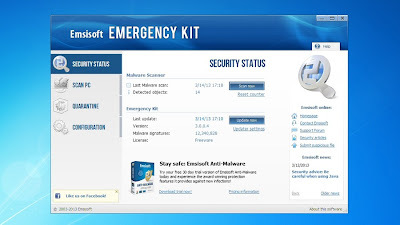 You should always have a second tool available, then, just in case - and Emsisoft Emergency Kit (EEK) is a great choice. The program runs without requiring installation, reducing the chance of any conflicts with your existing antivirus package. Its straightforward system scanner uses a dual-scan-engine, rated highly by Virus Bulletin. Experienced users will appreciate tools like HiJackFree and BlitzBlank, which can help you manually detect and clean up malware. 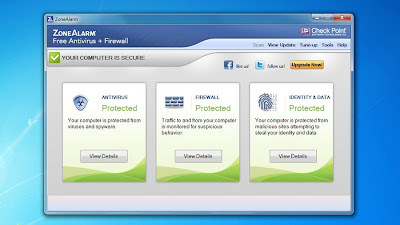 We have one or two concerns about ZoneAlarm Free Antivirus + Firewall, notably that its antivirus database is only updated daily (hourly updates are reserved for the commercial version), which leaves you more exposed to the very latest threats. The program does provide plenty of functionality, though, with a capable, AV-Test-certified antivirus engine, an easy-to-use firewall and some browsing protection. It does its best to keep things simple. Open the Preferences dialog, say, and you'll find only 10 buttons and settings (and most of those you'll never need to use). 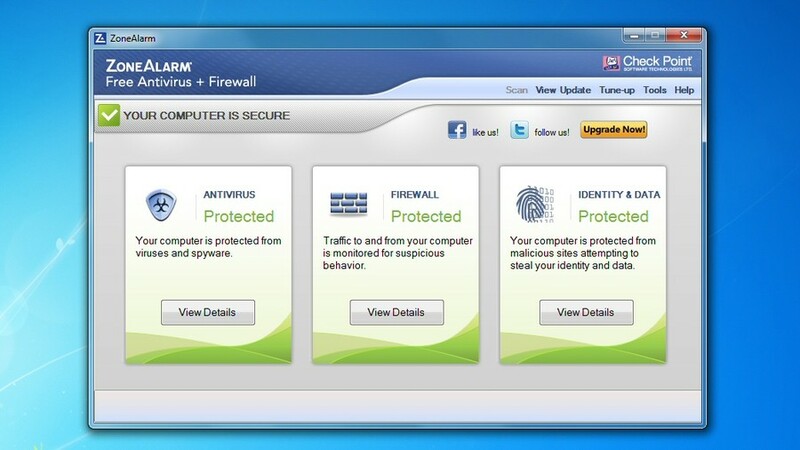 The database update means it wouldn't be our first choice, but if you're a fan of ZoneAlarm, or just want a firewall and antivirus tool from the same company, this could be a good choice. 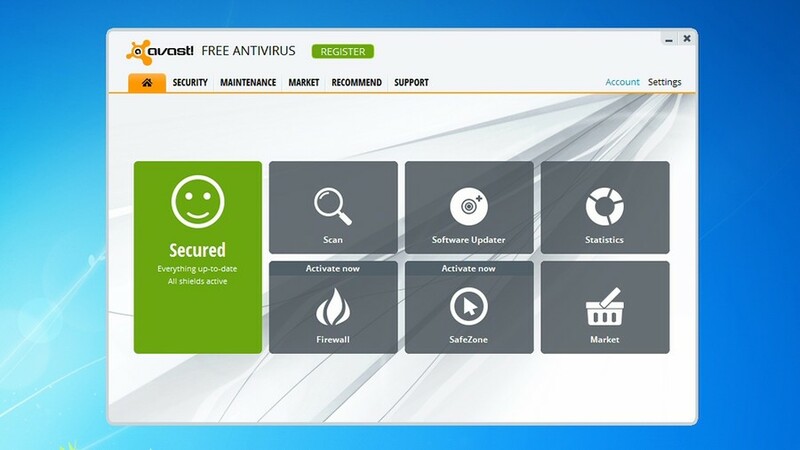 If you think your PC has been infected by something, but your regular antivirus tool hasn't raised an alert, then it could be time to grab a copy of Malwarebytes Anti-Malware Free. The program is an excellent real-time scanner which can quickly find and remove all kinds of threats. Beginners won't have any trouble using Anti-Malware - just launch the program, click Scan and it'll immediately begin checking your system. But more experienced users will appreciate extra tools to, for instance, help you launch the program on an infected PC, or delete locked files on your PC. 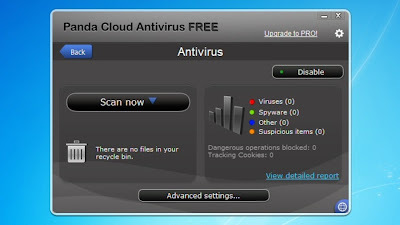 Avira Free Antivirus provides two main areas of protection. A strong antivirus engine (rated highly by independent labs for its file detection rates) constantly monitors your PC, looking for and eliminating threats. If you choose to install the Avira toolbar then you also get some web tools (an antiphishing tool, ad blocker, social networking protection), although this also replaces your default search engine with an Avira page. Problems? The interface can seem a little complex, just at first. And the program has more impact on your PC's performance than some other tools. Still, on balance Avira Free Antivirus remains a capable and effective security package. 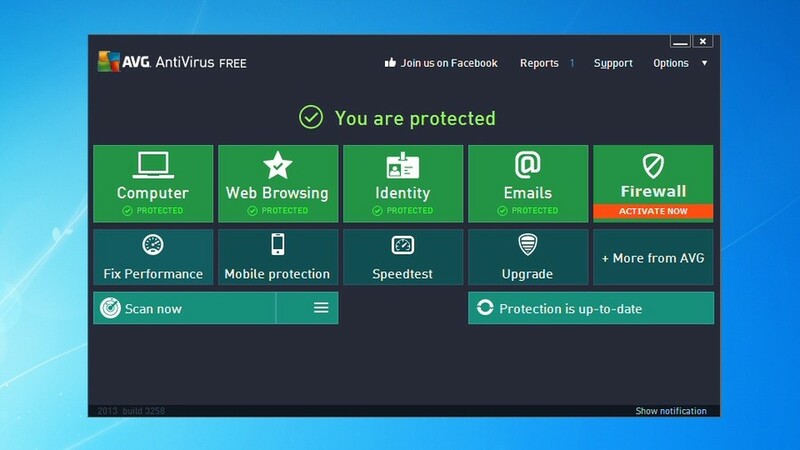 Bitdefender's antivirus engine is one of the best around, and a favourite of the independent testing labs, so getting a free version sounds like it should be very good news indeed. There's a problem, though. 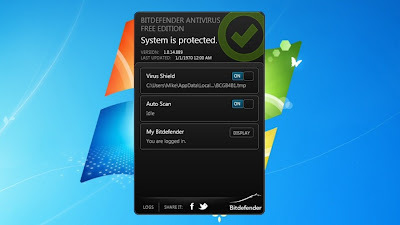 Bitdefender Antivirus Free Edition has no real-time protection, it won't check files as you access or download them; the program just scans files, folders or drives when you ask it to do so. Bitdefender Antivirus Free Edition can't be your main antivirus tool, then, but the program could still be very useful. Download a copy, run scans occasionally, and it might catch threats your other security suite has missed. 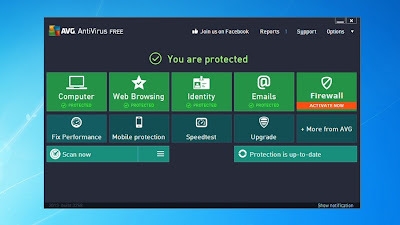 AVG Free Antivirus is a solid package with a good range of features: an antivirus engine, email scanner, identity theft protection, and LinkScanner Surf-Shield to keep you safe online. At first glance this makes the program seem more complex, as there are lots of tiles, buttons and menu entries. Smart interface design means you can carry out most common actions in a click or two, though, so you'll soon feel at home. AVG Free Antivirus gets mixed reviews on its effectiveness: AV-Comparatives rate it as average, AV-Test say it's better than some commercial suites. Our view: it's a capable, feature-packed tool, and one of the stronger free antivirus packages. Why isn't Microsoft Security Essentials in the list? It's small, simple, and won't slow your system down - but it's also just not reliable enough to justify inclusion in our best free antivirus software round-up. When Security Essentials was last included in an AV Comparatives File Detection test, the program managed a file detection rate of 94.9%, placing it 13th out of 15. AV-Test's opinion was even lower. In its analysis of 2012 products for Home Users, Microsoft Security Essentials delivered the lowest "average protection score" of all, putting it bottom in a list of 20.